Pune is a city with a rich heritage and also highly developed modern urban spaces. The two blend seamlessly and the result is a contemporary city that salutes its culture and yet looks forward into a bright future. 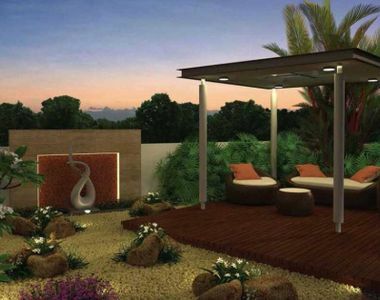 The realty spaces in Pune stand out for their tasteful appeal and a shared bind of community spirit. Kolte Patil Centria in Undri Pune is a new residential enclave that takes the rich legacy of shared living of Pune ahead, with a modern twist. The developers have tried to carve out green lifestyle, cradled with nature, with no compromise to urban needs of a luxurious life. The homes here are crafted in a cluster of 3 towers of 13 floors height. The podium is designed with an artistic touch, such that it looks appealing and yet tranquil. Kolte Patil Centria Pune is all set to be a fine destination for those who seek a rich lifestyle, while at the same time making sure that Mother Nature is protected. The facilities here represent the builder’s commitment to create an elite lifestyle for the habitants. There are amenities like a meditation center, sports zones, swimming pool, gym, kids’ play area, manicured lawns, theatre, multipurpose hall, basketball court, jogging track and a lot more here. This campus is safe with 24 * 7 security, intercom connectivity, CCTV surveillance in common areas and even f-green installations like STP and rainwater harvesting, along with solar water heater in each apartment. The location is wonderful as it is linked to many highways and transport links. The Kolte Patil Centria Price is most remarkable, being in the range of Rs. 89.48 lakhs and going up to Rs. 98.97 lakhs. This is a wise investment with high returns.